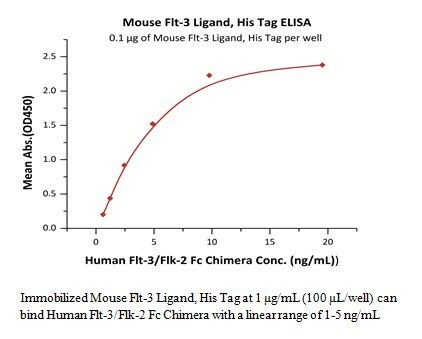 Human CellExp™ FLT-3 Ligand, Mouse Recombinant | P1382 | BioVision, Inc. The protein has a calculated MW of 20.2 kDa. 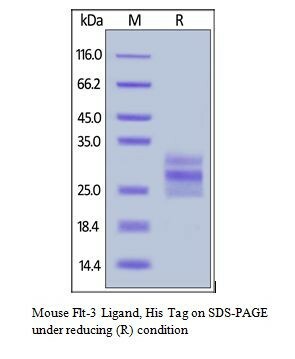 The protein migrates as 25-33 kDa under reducing (R) condition (SDS-PAGE) due to glycosylation.